This statistic shows the average retention rates of messaging apps compared to the average of all apps as of January 2015. 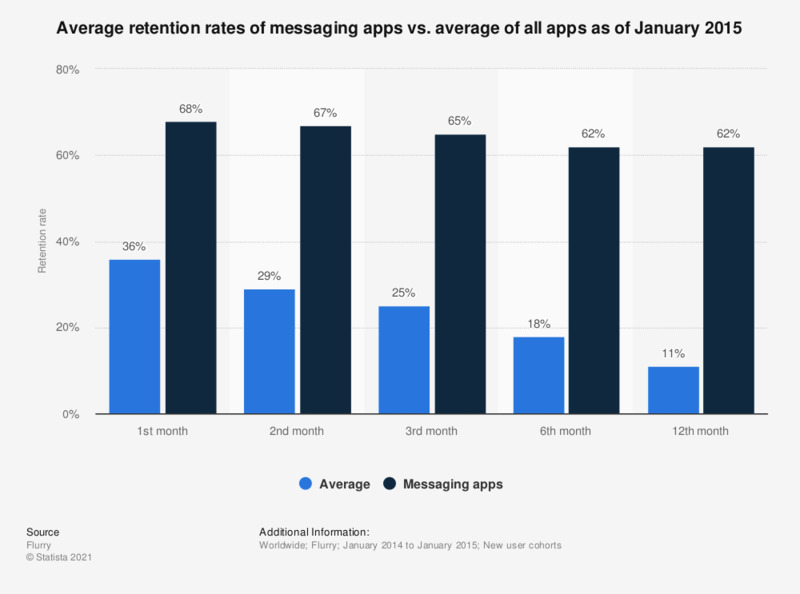 During they survey period it was found that the average 12 month messaging app retention rate was 62 percent. The average app retention rate at this point was 11 percent.